In the international arena great interest is being shown in the Nordic model. We have demonstrated that is it not only possible to combine economic growth and competitiveness with extensive welfare and a high level of economic equality successfully, but that this is also desirable – for both social and socioeconomic reasons. Last summer we at the Council of Nordic Trade Unions, who represent 70 per cent of the Nordic Workforce, therefore urged the Nordic Council of Ministers to participate in the G20 discussions as a regional entity. Our message to the Council was clear. We argue that the Nordic countries should have a greater presence in international fora, like the G20, so that we can share our experiences – and that this is our responsibility. We have a given place in the G20 not only because we are the world’s twelfth largest economy but because the Nordic countries are a leading region for sustainable economic and social development. 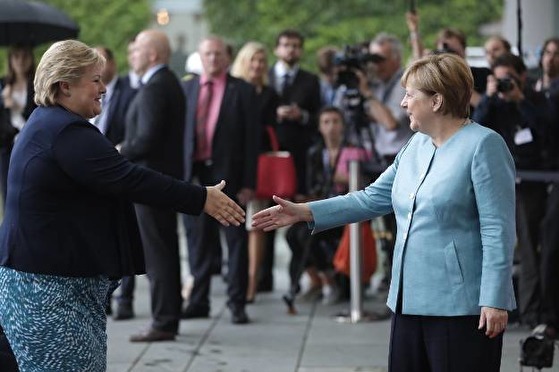 We therefore welcome the invitation extended to the Nordic Council of Ministers and Prime Minister Erna Solberg by Angela Merkel and the German presidency of the G20. At the summit in Hamburg on 7–8 July the 20 largest economies in the world will be discussing the challenges we face in the future. There is greater urgency to sustainable economic and social development than there has ever been. Donald Trump governs from the White House. The United Kingdom recently applied to exit the EU and, even if populism has faced setbacks in recent European general elections, it is gaining ground. This is deeply disturbing. Populism polarises: its ideological foundation is authoritarian and protectionistic and has to be viewed as opposed to the progressive and liberal values that form the basis of democracy. An open world has to be contrasted with closed borders. One of the main reasons behind the protectionism and populism that find expression in Trump and Brexit can be traced to the growth of economic inequality. This has been documented in several studies, for instance by the OECD, IMF and World Bank, as a result of a development since the 1980s in which fewer and fewer have taken possession of a larger share of social resources. Above all it is the ten per cent with the highest incomes – and in particular the most wealthy one per cent – whose share of earnings has risen, while the remaining ninety per cent have suffered a decline or a standstill in their incomes in real terms. It is both distressing and telling that the world’s eight richest individuals control the same amount of resources as the poorest 50 per cent of the world’s population. This is to a very great extent the outcome of an economic policy that since the 1980s has encouraged deregulation, changes in taxation systems and reduced public investments – often indeed at the behest of the OECD, IMF and World Bank. A dwindling social dialogue and declining global trade union influence, in individual workplaces as well as on national, European and global redistribution policies, have contributed to this increased inequality. Added to this are the challenges that result from globalisation, inability to adapt and the digital revolution in which more and more wage earners have atypical forms of employment and conditions that sometimes leave a great deal to be desired in terms of fair and regulated wages, sound working environments, social security, holidays and further training. But there is light at the end of the tunnel. The OECD, IMF and World Bank have altered course and the global agenda is open for proposals. In addition to the patently negative effects on social cohesion, economic and gender inequality has been shown to hinder growth and make recovery from recession more difficult. It is quite simply bad for business and it is against this background that the need for collective wage formation has been discussed in the G20 context in the last two years. In the Nordic countries inequality is also increasing – in some place very rapidly. But compared to other western countries our egalitarian societies are still counted as some of the most equal in the world. And the happiest. It is this balancing act, the ability to combine high social and economic equality with great competitiveness and productivity that the world wants to learn more about. Or as the OECD’s s Deputy-Director for Employment, Labour and Social Affairs, puts it: “Irrespective of whether you study unemployment, occupancy rates, incomes, equality, social security or the quality of workplaces, the Nordic countries – especially Norway and Denmark – top the international ranking lists. This means that many other countries are looking at the Nordic countries to study whether the Nordic model is the best approach to adopt to attain labour market objectives”. Trade union membership, social dialogue and cooperation between the social partners has to be encouraged, not least in the EU but also nationally, in the Nordic countries and globally. The Nordic countries are competitive and have great economic equality, for which one reason is their highly organised labour markets that are characterised by the balance between the social partners. Reduce unemployment through a joint public investment strategy between the G20 countries to put an end to the low rate of growth. Encourage gender equality and high employment rates through extended family policies, general welfare systems with income linked social insurance, equal pay for jobs of equal value as well as education and skills enhancement. Invest in education, further training and lifelong learning for everybody. The role of a universal educational system in compensating for social differences is a vital requirement in an equal society that offers everyone the same opportunities. Knowledge is a prerequisite for a democratic society. Address the challenges that derive from new business models in the digital economy such as competition, investments and taxation, and guarantee workers’ rights as well as secure and established employment conditions in the digital economy.